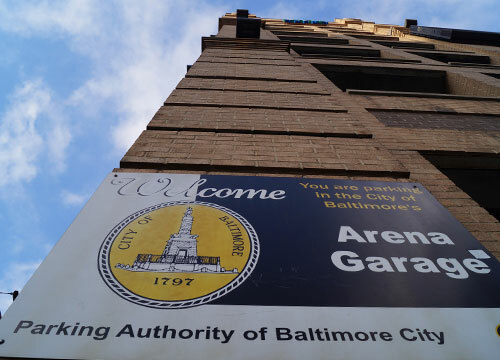 Arena Garage parking – 99 S Howard St , Baltimore – The Arena Garage is adjacent to Royal Farms Arena and is within walking distance to Oriole Park at Camden Yards, M&T Bank Stadium, Baltimore Convention Center, and Hopkins Plaza. 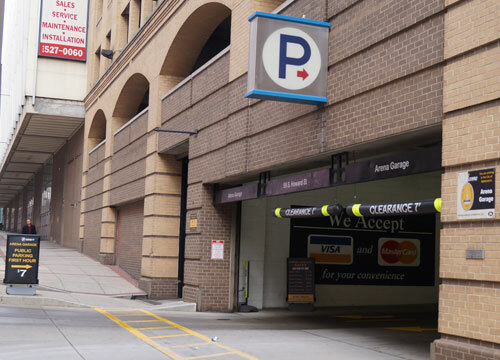 The garage has very convenient access to I-95. 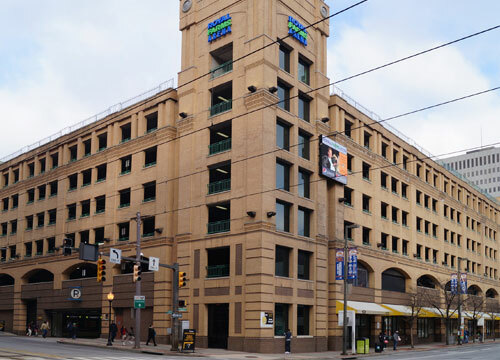 The entrance is located just north of the Lombard and Howard Streets intersection. The garage is open and staffed 24 hours a day, 7 days a week and has a height restriction of 7 ft.